Yesterday the news hit the world of Games Workshop wargamers with a true bang. 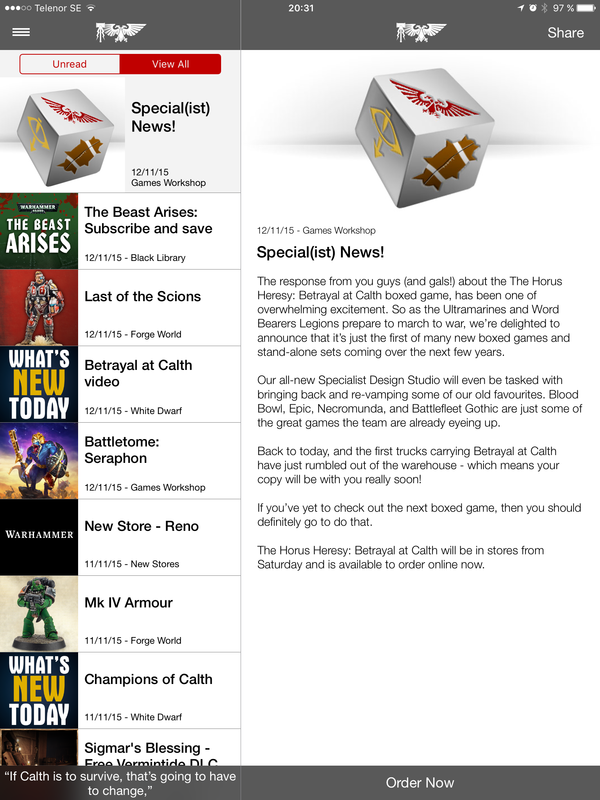 Our beloved mini company is reinstating the long lost and soarly missed specialist games. So what does this mean for us fanatics? Early yesterday morning I was texting back and forth with my buddy Rob over at Spikey Bits, discussing the upcoming thanksgiving weekend and what needs to be done beforehand so the holidays can be off. A few minutes earlier we had found out about the Australian GW shops, announcing the news to some of their senior staffmembers. Armageddon was misspelt, and it looked and felt iffy. Our community isn’t famous for being naive and buying into rumors all too easy (still crossing fingers for that plastic thunderhawk). The day went, and rumors were piling up on social media, all the gaming groups I am a member of were going bananas back and forth. Even in my local club sceptisism was the tone, rather than joyful outbursts. Fanatics. If any of you had a 6 month or 12 month budget on your minis, scratch that now. We are entering a new era of awesomeness. Föregående Föregående inlägg: One for all or all for one? – How many armies does it take? Nästa Nästa inlägg: Your friendly neighborhood Gamestore! – Our refuge and shrine.